Depaul Ireland launched its 2017 annual report today. 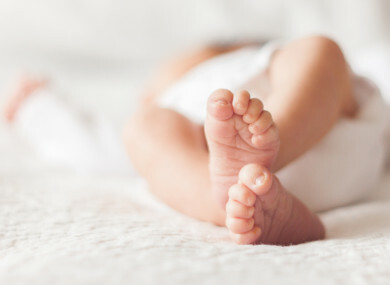 A TOTAL OF 19 babies were born into a homeless charity’s services last year. Non-governmental organisation Depaul Ireland – which runs homelessness services in Northern Ireland and the Republic – published its 2017 annual report this morning. Last year, Depaul helped 3,961 men, women and children in Northern Ireland and the Republic – an increase of 9.42% on 2016. The charity provided a total of 604 beds each night last year, an increase of 22% on the year previous. The charity also expanded its hostel on Dublin’s Little Britain Street to 89 beds from 65, bringing an additional 45 supported temporary stay, six-month beds on stream. Alongside this, Depaul took over management of the largest emergency hostel in the State, the 101-bed Brú Aimsir. “Just a year ago, I stood here in this exact hotel, Little Britain Street and I asked that we do better as a society for single adults struggling in homelessness than a one night only, partial access hostel,” Depaul CEO Kerry Anthony said, speaking at the launch. “Today, I can say that we have succeeded in making Little Britain Street a 24-hour service and I am still calling for other services to be enabled to follow suit,” she said. Over the course of 2017, Depaul held 3,338 assertive engagement meetings with service users of emergency hostels in the Republic, up by 595% year-on-year. Assertive engagement provides a programme of support and advice to those in the emergency hostel system to help them move onto more stable accommodation. In total, 774 people were helped to move on to more appropriate accommodation. She added that she believes “the best solution to homelessness is housing-led, providing real homes for those in homelessness”. In the meantime, we need to do better than a bed for a night in a hostel. We need homes. The charity also provided 2,541 health interventions, 1,217 GP consultations and 1,334 nursing consultations. Depaul runs short- and long-term accommodation units for homeless people, as well as providing a wide range of supports. A total of 19 children were born to women utilising Depaul’s services in the north and south throughout the year. Speaking to reporters at the launch, Anthony said that the number of children born into homelessness “speaks for itself”. I think that’s quite a shocking thing to hear and certainly coming up to Christmas it’s really sad hearing these stories from our kids going ‘Is Santa going to know where we are?’ because they’re in a hotel or they’re in a hostel. “There is a detrimental impact on children and young people living in emergency accommodation, so again, we would be advocating strongly to try to get people out of homeless services,” Anthony said. The number of homeless people in Ireland has risen sharply in recent years, as more single people and families find themselves locked out of an increasingly expensive private housing market. Latest figures show that there were 5,834 adults and 3,693 children in emergency accommodation during the recorded period in August – a total of 9,527 people. Acknowledging the thousands of single people who are homeless in Ireland, Anthony added: “I’ve got a really big heart for the single people that we work with. You can find out more about the charity on their website. Email “'A detrimental impact on children': 19 babies born into a homeless charity's services last year”. Feedback on “'A detrimental impact on children': 19 babies born into a homeless charity's services last year”.